Inmates at the Cuyahoga Hills Juvenile Correctional Facility are learning how to be better parents. HIGHLAND HILLS, Ohio -- For most people Father's Day is a very special holiday, but for some, the holiday highlights how many children grow up without fathers. Two of the biggest reasons fathers are not in the picture is because they are dead or in jail, and sometimes they start young. Cuyahoga Hills Juvenile Correctional Facility is doing its part to make sure that once the inmate is released, they will be the best father they can be. "I can never leave her again, never," said an inmate we cannot identify. The inmate has spent the last three years behind bars for felonious assault. He was sentenced at age 16, and seven months later his first child, MyLondon, was born. "It changed my life," said the inmate. "Really, and gave me a better look. I was wild. I didn't care about nothing. Now I have something to live for." Attitudes at Cuyahoga Hills started to change when the facility became the first of many juvenile correctional facilities in the country to implement the Baby Elmo Visitation Program. 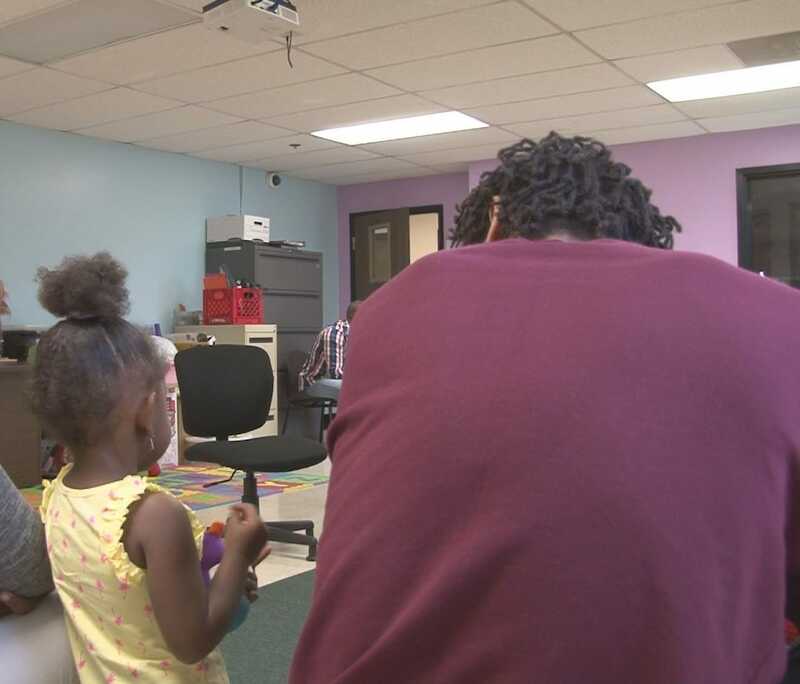 "The first three visits it's usually about them wanting to see the baby's mother, but after about the third visit they really become invested in their child and wonder what's going on with their child, as a father would be," said Youth Specialist Francois Smith. "So you see the changes not only as it comes to their child, but also about their behavior while they are incarcerated." For 10 weeks, fathers get a one hour visit to start building relationships with their children before they are released to actually raise their children. And with every visit, the juveniles become more inspired. "He (the inmate) was a very aggressive young man," said Smith. "He comes from being excessively hostile and angry to a young man who is more caring and concerned about his future." "I've seen a lot of changes, his personality, he grew up a lot," said MyLondon's mom Shevanna Pruitt. "He still has his little ways, but he grew up a lot. I think he's going to be a good dad to MyLondon, he will be a wonderful dad." The toughest part about the visit is always the end. "It's hard leaving her like that," said the inmate. But it's also his biggest motivation. "I will never come back," he said. "I promise, never. It's hard. I don't see how a father could just leave, I can't do that. That's my world." This particular inmate will be released next month to become a full-time dad. Through this program, he says he was inspired to get his high school diploma and will start college next year at Cleveland State University. He says the biggest lessons he has learned, is how to be a father.